This day next week, April 5th 2014, it will finally be Grand National day and like so many of you, I'm trying to narrow down my selections in the hopes of picking that elusive Grand National winner! It's not just a statistics game with many punters often having more creative and fun ways to pick their horses. 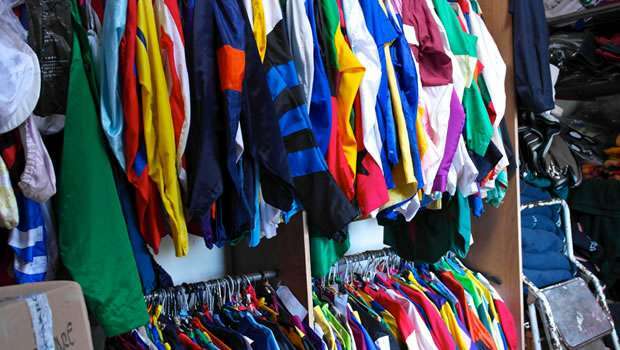 My sister-in-law regularly backs horses that wear pink racing silks and so far it hasn't done her any harm at all and while some will opt for the horse being ridden by their favourite jockey, or the horse that happens to be their lucky number or because the name grabs their attention, I'm going to look at the racing colours. 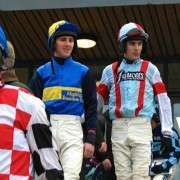 There are currently three horses still left in contention who will be wearing pink/pale purple silks for the 2014 Crabbies Grand National – Chance Du Roy, Twirling Magnet and Vesper Bell. Of these selections Chance Du Roy has the best opportunity to land in the money having won at Aintree as recently as December 2013 in the Becher Chase. 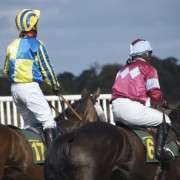 If you're a big footie fan and love Man Utd, Liverpool or Arsenal or indeed any team that primarily wears a red kit, then the following horses may strike a cord and have you reaching for your wallet. Balthazar King, Lion Na Bearnai, Hawkes Point, Same Difference and Monbeg Dude will all be seeing red on the day and all are in with a pretty decent shot provided they can stay the course. But if you're looking for an outsider then take a closer look at Same Difference. If you want your day brightened up a little and yellow gives you that warm sunny glow then Triolo D'Alene, Battle Group and Buckers Bridge will all be lighting up Aintree in their (mostly) yellow racing silks with Triolo being the one with the shortest odds. Aside from JP McManus who runs all of his horses in the green and gold hoops, there are a few others who will be decked out in green for the National including Our Father, the grey from David Pipe and The Rainbow Hunter from Kim Bailey, both of who have previously trained Grand National winners! 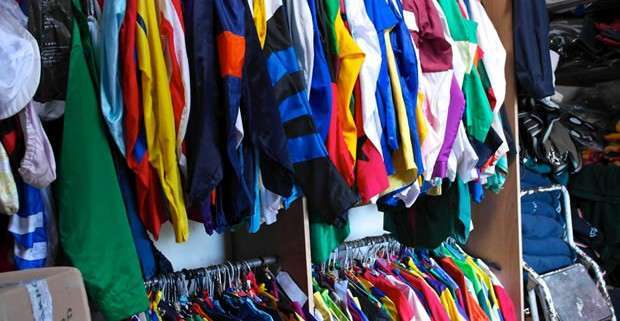 So a few racing colour selections to get you thinking about and of course if you want to see the full range of all the 2014 Crabbies Grand National Runners including their silks just click here.